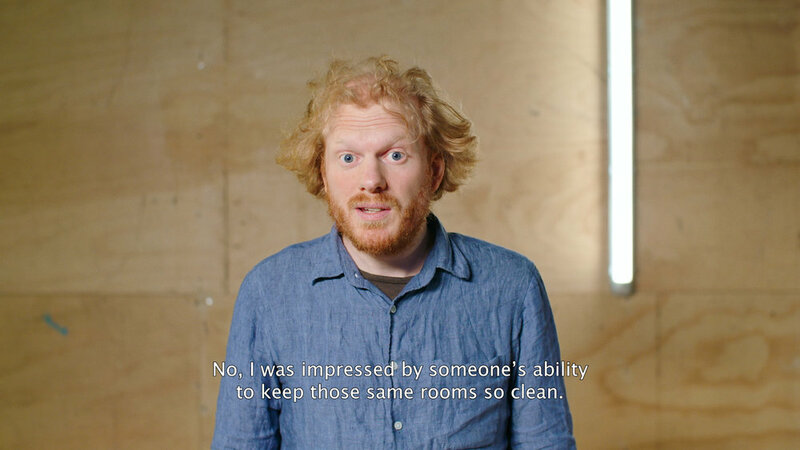 In the video The Unspectacular Things, Beckers explains how he often fails to be impressed by things that are spectacular or extraordinary. Instead he feels more related with mundane, everyday activities. So when Beckers puts on safety glasses and jumps trough a glass window, the actual jump only happens offscreen. Instead, Beckers focuses on the less exciting act of cleaning the shattered glass afterwards. Thereby turning the viewers' attention towards those everyday things that normally are not put on a pedestal.